Well, did you also know that the same goes for conversions on your website? 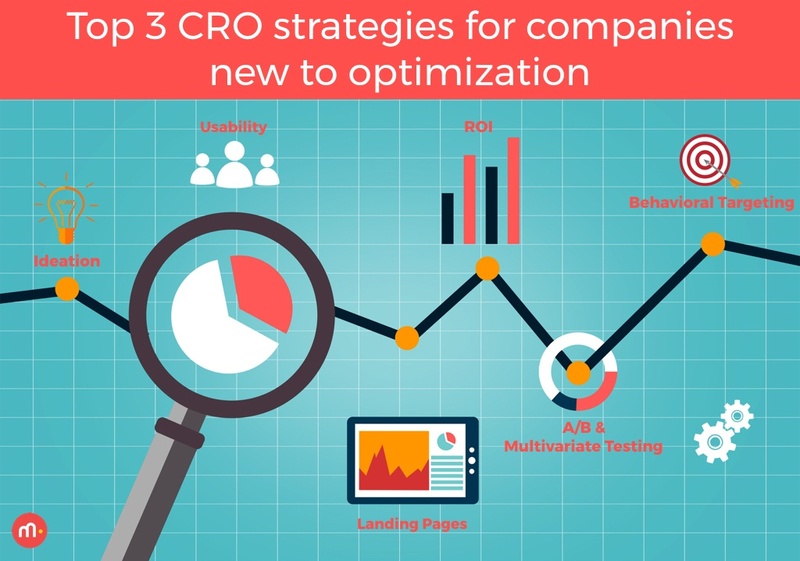 Having a well-developed CRO strategy, or Conversion Rate Optimization strategy, can help reduce friction on your website, drive more leads, and increase purchases. Once you’ve determined this information, you can move on to the more technical steps of the audit, which includes testing lead capture forms and/or evaluating the checkout process, depending on the purpose of your website. Next, you should assess the design and layout, as well as the User Experience (UX), which is the overall experience a person has when interacting with your website. It’s often helpful to have a third party optimization or digital marketing agency conduct the audit to ensure it is objective, data-driven, and follows best practices. A more in-depth analysis of user behavior can help identify gaps in both the user experience and conversion strategy, which will highlight some immediate areas to test. But, before you start running tests on your site, it’s important to get your website to a place where testing ongoing refinements will have a positive impact. Below are some quick wins you can implement with your marketing and development teams. Lead Capture Forms: This is the most important element because it is often at the end of the sales funnel, and if a form is not converting then you’re not driving leads and sales. Special Offers: This is usually a limited time offer that creates a sense of urgency to get a user to take an action before time runs out. You can include an expiration date or a countdown clock that shows how much time is left, or how many offers are left, during a specific time period. Social Proof: People like to know what their friends and even celebrities they follow are doing, liking, and buying. You can use video testimonials, badges, endorsements, and attributions to leverage social influence. Video: As mentioned above, videos can be used for testimonials, or social proof, as well as product demos and telling your brand story. Videos can help increase purchase intent, brand association, and conversion rates. Reduce Bounce/Exit Rates: When and where people are leaving your site can tell you a lot about where there’s room for improvement. Keep in mind that the mobile experience is just as important as desktop, if not more. Match Experience to Expectations: If users are coming to your site off a search or after seeing an ad, they may be expecting to see one thing and getting another. Luring people to your site with false expectations can actually hurt your organic results. Use analytics to see where visitors are coming from and what their intent may be. Now that the CRO Audit is complete and UX improvements have been made, you are ready to start Conversion Rate Optimization. By now, you should have an understanding of what your website visitors are looking for and be prepared to give it to them through testing and personalization. Testing: A traditional CRO plan allows you to test different hypotheses, learn from the outcomes, and come up with new, improved hypotheses. It involves ongoing website testing to increase the chance of a conversion or desired action. Each problem you want to solve should have a specific hypothesis, a proposed solution, the desired outcome, and, of course, a measurable goal. Hypothesis: Older users need more information before making a purchase. Solution: A/B test providing a brochure download with product details. Outcome: Users in the target group that download the brochure are more likely to convert. Goal: Increase conversions (i.e. complete the transaction) by 5%. Personalization: In addition to testing specific areas of your website, you can also customize the visit for your users with highly targeted personalized experiences. It can help you get more of the right kind of customers and keep them coming back for repeat purchases. You can personalize website visits with users’ history, needs, motivations, pain points, and even contextual data such as location, time of day, or even the weather! Ready to Grow the Conversation? As you can see, a successful CRO strategy takes time but will make the user’s online experience better, based on their individual behavior. A great website experience will keep your customers coming back for more, and an optimized website will help them convert more easily leading to increased purchases and leads. Need help getting started with your CRO strategy? 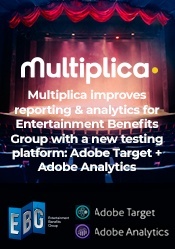 Please email us at optimization@multiplica.us.